Alexander Zverev and Angelique Kerber will compete in tomorrow’s Hopman Cup final after cruising past Australia. 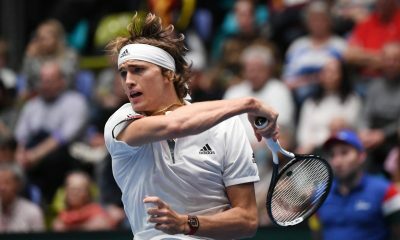 Germany are into the Hopman Cup final for a second year in a row after Alexander Zverev cruises past Matthew Ebden 6-4 6-3. The 21 year old was given the opportunity to seal victory for Germany after Angelique Kerber defeated Ashleigh Barty 6-4 6-4 in the first match. 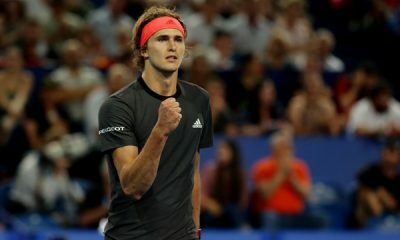 It was a comfortable win for Zverev who broke his opponent’s serve three times to seal Germany’s place in the final for a second year in a row. The duo remained undefeated in singles and will play Switzerland’s Roger Federer and Belinda Bencic in the final in a rematch of last year’s final. 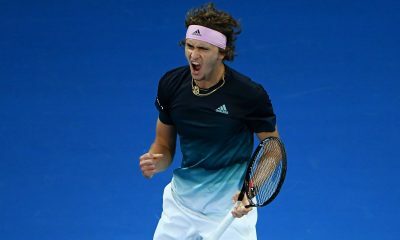 It was a very good start from the ATP Finals champion who looked impressive throughout the contest as some aggressive play saw a break in the third game. 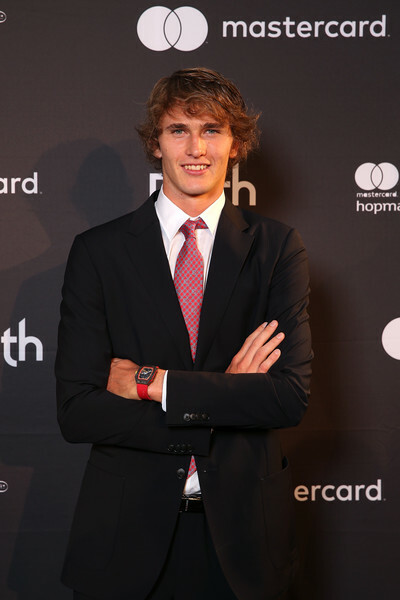 Although were some good patterns of play from Ebden, the Australian rarely threatened when receiving as Zverev’s big serve helped him dominate. 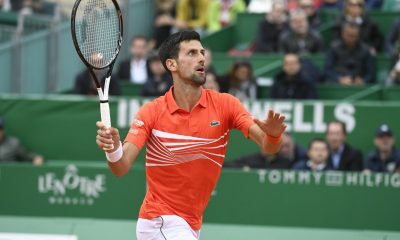 The world number four held very comfortably and it was the one break which helped him cruise to the first set in 43 minutes. 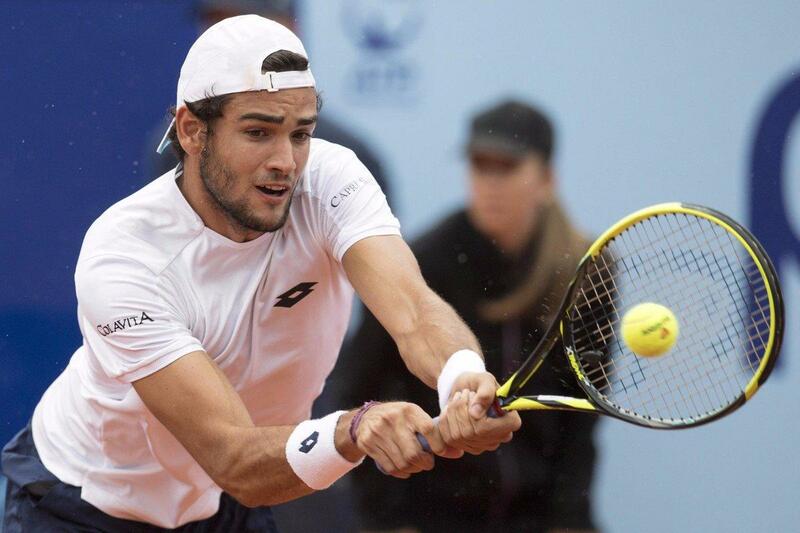 It was more of the same in the second set for the German as he broke again at the same time as he did in the first set to seal the momentum. 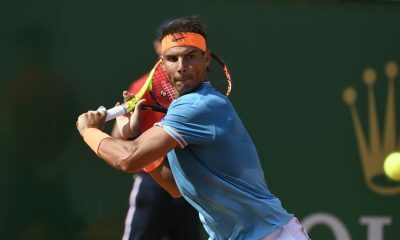 Although in the second set there was a lot more frustration as he felt he should have broken more times than the one in each set. Despite the frustration though there was still some light-hearted moments from the German who was entertaining the crowd at the same time. 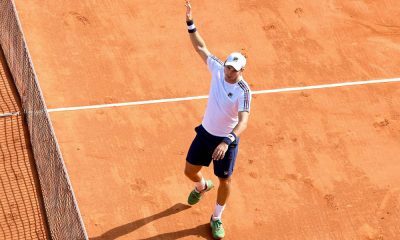 Eventually though he did get the crucial second break in the set to seal the win and Germany’s place in tomorrow’s final. 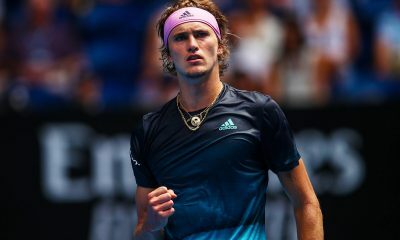 After the match Zverev said he was pleased that him and Kerber were back in the final and are looking for revenge after their defeat to Switzerland last year, “It’s nice to be back in a final. It’s nice to play Switzerland as well,” the German said. Earlier in the day Angelique Kerber completed her unbeaten run in singles in Perth with a comfortable 6-4 6-4 win over Ashleigh Barty. The Wimbledon champion broke twice in a simple victory for Kerber who has already beaten Garbine Muguruza and Alize Cornet this week. In tomorrow’s final Roger Federer will take on Alexander Zverev in a rematch from the ATP Finals semi-final while Belinda Bencic takes on Angelique Kerber. If its level after the singles then the Fast4 mixed doubles will decide who wins the 2019 Hopman Cup. 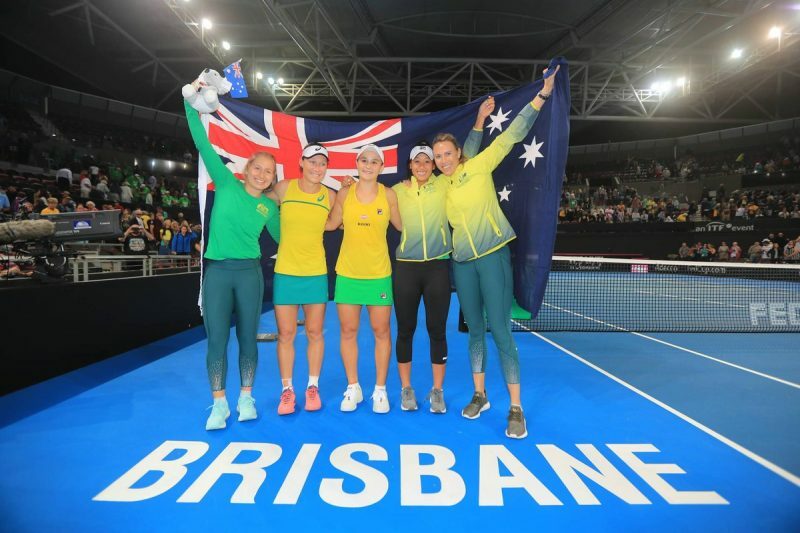 It is joy for the Aussies and heartbreak for Belarus in Brisbane. The Australian duo of Ashleigh Barty and Sam Stosur has guided their country into the final of the Fed Cup for the first time since 1993 after a dramatic final day of their clash with Belarus. 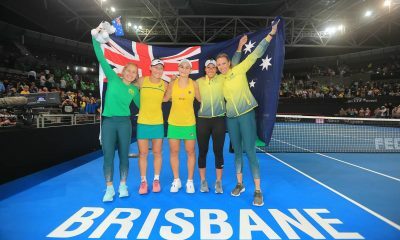 Australia, who last won the team competition back in 1974, was pushed to their limits at the Pat Rafter Arena with the final match of the tie deciding their fate. After day one, they were held at 1-1 by Belarus. A team compromising of two-time grand slam champion Victoria Azarenka and world No.10 Aryna Sabalenka. Barty gave the home favourites an initial 2-1 advantage after she disposed of Sabalenka 6-2, 6-2. A player who she lost to twice during the second half of the 2018 season. However, Azarenka revived Belarus’ chances immediately with an emphatic 6-1, 6-1, win over tour veteran Stosur. Making it her first victory in the competition since 2016. With all to play for, it was the doubles match that separated the two. During a roller coaster encounter, Barty and Stosur prevailed 7-5, 3-6, 6-2, over their rivals. Breaking twice in the decider on route to securing the overall 3-2 victory. Team captain Alicia Molik has hailed the performance of her team. This year was the first time Australia has contested a semi-final of the competition since 2014. The country ranks third on the all-time list for more trophies won, but have failed to gain success in recent decades. “It was just an incredible weekend,” Australian captain Molik reflected. 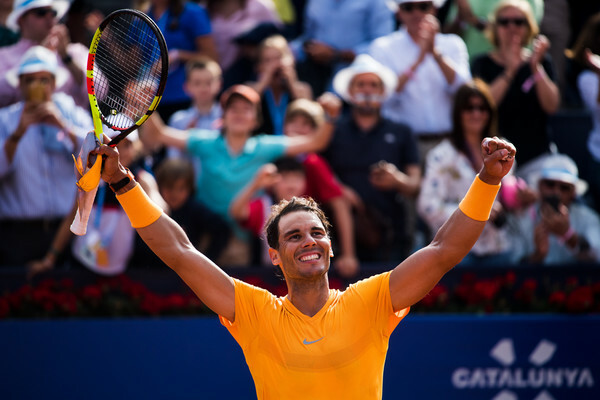 “We hadn’t exactly planned for it to come to the doubles, yet we were prepared. We got to that position, and I was really pleased today with both the outputs of Ash – it was phenomenal tennis out there – and Sam gave it her best. In November’s final Australia will play either France or Romania. 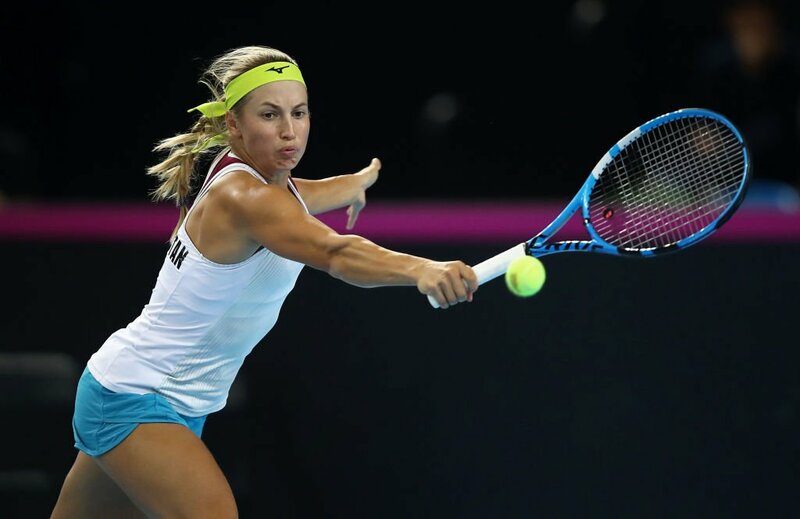 Yulia Putintseva once again brought the drama as she saved Kazakhstan from being 2-0 down against Great Britain. Yulia Putintseva saved three match points to defeat Katie Boulter 3-6 6-2 7-6(6) and level the tie for Kazakhstan against Great Britain. In a match where there were injuries, passion and lots of drama, Putintseva saved three match points to level the tie for Kazakhstan. Despite having a 4-0 lead in the deciding set, Boulter couldn’t close out the match as Great Britain are pegged back heading into the second day. Earlier in the day Johanna Konta edged out Zarina Diyas 4-6 6-3 6-2 to give the hosts the lead in their World Group II Play-Off tie. It was a good start from the Brit as she timed the ball to perfection as the Kazakh had no answers in the opening set. Two breaks at the end of the set sealed a positive start for Boulter, who was feeding off the crowd’s enthusiasm. However the second set was a very different story as the Brit struggled with a knee injury as Putintseva took a more aggressive approach to proceedings. Three games in a row against a cautious Boulter saw the world number 38 force a deciding set, which was sealed by an ace. The final set saw Boulter time the ball exceptionally well again and overpower forehands with some aggressive forehands. A 4-0 lead seemingly saw the Brit cruising but back came the controversial Kazakh as she managed to rescue one of the breaks of serve. In nervy circumstances the world number 86 couldn’t hold her nerve when serving for the match at 5-3 as Putintseva pushed to force a final set tiebreak. After one match point disappearing in the eleventh game, Boulter remained aggressive to create two more chances to seal the match. But never count out Putintseva and four points in a row thanks to some gutsy play saw the Kazakh take the match in over two and a half hours as Britain sense an opportunity missed. It is a gutting loss for Britain, who should have a commanding 2-0 lead but instead have been pegged back at 1-1. The match is level after Johanna Konta edged out Zarina Diyas in the first rubber. After controversy with the Kazakh’s fans trombone and trumpets, the Brit kept her cool to seal a crucial rubber for the hosts. Tomorrow Johanna Konta will face Yulia Putintseva, with Katie Boulter, if 100%, playing Zarina Diyas. If the singles are once again split, then a deciding doubles rubber will decide the outcome of the tie. 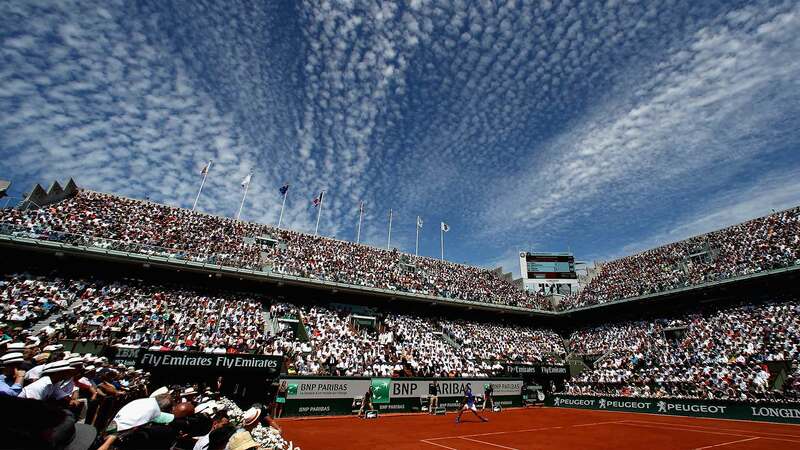 Great Britain are looking to enter the top two tiers of Women’s Tennis for the first time in 28 years. 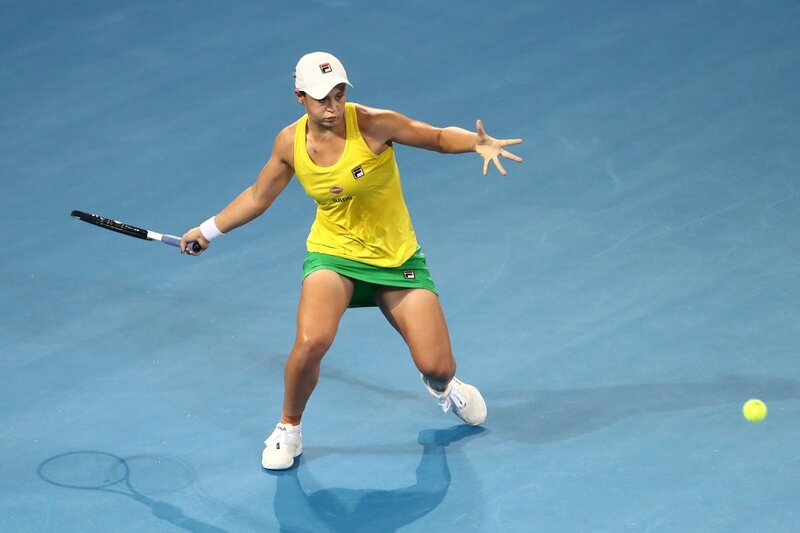 Ashleigh Barty produced some high-quality tennis to level the tie for Australia against Belarus in their semi-final. Ashleigh Barty once again produced an impressive performance as she defeated Victoria Azarenka 7-6(2) 6-3 to level the tie for Australia. The Miami Open champion was impressive in the big moments as she levelled the tie for Australia against Belarus in their World Group semi-final. Despite Azarenka’s resilience and great returning, the 21 year-old from Brisbane held on to seal the victory in front of her home fans. Earlier in the day Aryna Sabalenka battled past Sam Stosur 7-5 5-7 6-3 in 2 hours and 51 minutes to give Belarus an early lead. It was a pressure situation for Barty in heavy conditions as she looked to keep Australia’s hopes of reaching a first Fed Cup final since 1993 alive. Keeping the unforced errors down and powerful returns was the key for the Belarusian to stay competitive in this contest. However Azarenka’s serve let her down on occasions which allowed Barty to get back into the match in very heavy conditions in Brisbane. After two breaks of serve each it was the Australian who played a flawless tiebreak to seal the first set and the home favourite only went from strength to strength. Another three breaks of serve in the second set sealed the victory and set up a fantastic second day of action in this semi-final. Level up! @ashbar96 tops Azarenka 76(2) 63. After the match Australian captain Alicia Molik couldn’t have been any prouder of her team’s efforts, “She backs herself in the big moments,” Molik explained to fedcup.com. The earlier match saw Aryna Sabalenka battle past a gritty Sam Stosur in nearly three hours as she gave the Belarusians the early lead. 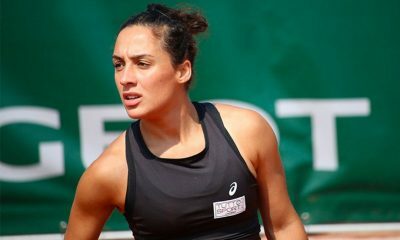 This means that day two is set up perfectly as world number nine Ashleigh Barty will face world number ten Aryna Sabalenka in the first match tomorrow. Daria Gavrilova and Aliaksandra Sasnovich may be brought into the fourth rubber before a doubles rubber will decide who reaches the Fed Cup Final.